If you’re a pet parent, chances are you have heard or you know first-hand the Blue Buffalo dog brand. The tagline “Love them like family, feed them like family” created by the company is catchy and tugs at every pet parent’s heartstrings. This also tells us about the serious commitment the company has when it comes to producing dog food products. 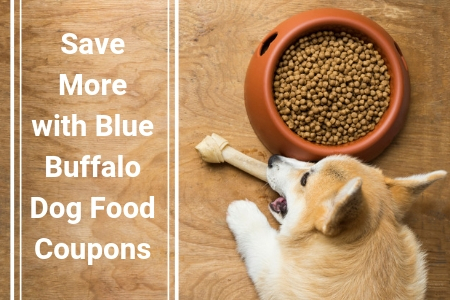 Why is it that Blue Buffalo dog food coupons are almost everywhere? You see online pet stores, vet offices, and pet magazines that give away various kinds of Blue Buffalo dog food coupons. What could be the reason behind this? 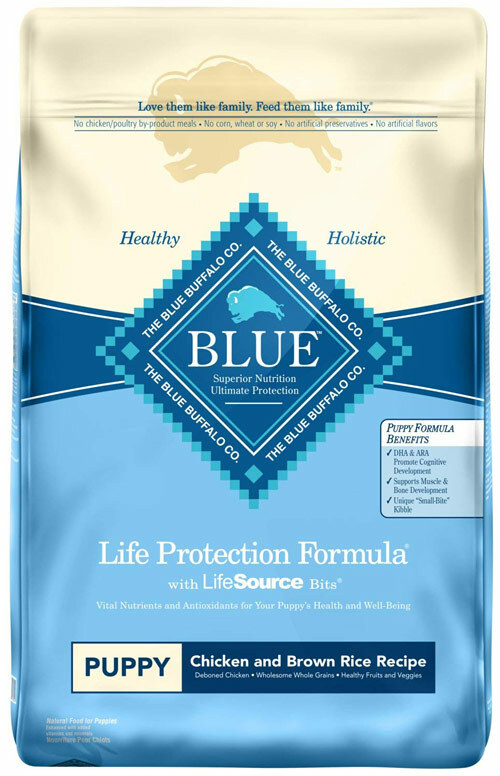 Blue Buffalo wants to give pet owners a chance to give the best food to their pet kids and the only way is to make it affordable and available. The company knows that their brand has become well-known to all pet lovers and owners because of the different dog food varieties to match all dog breeds, sizes, and age. However, these coupons have a limited lifespan which needs to be taken advantage of while it’s still around. The Blue Buffalo brand will remain the same top-quality brand, but the coupons will come and they will go. Blue products are expensive compared to other dog food brands. The company is aware of this and their way of keeping your beloved pets healthy and active while helping with the expense is to offer these Blue coupons. So, what are you waiting for? Time to get active and avail of these Blue coupons while they last! Check out to see how you can redeem Blue coupons from us. Do it now. It was in 2003 when the passing away of Blue, an Airedale Terrier owned and loved by Bill and Jackie Bishop, served as inspiration for them to put up a company named Blue Buffalo. Cancer that killed Blue was the force that compelled the Bishop family to see if certain kinds of cancer are linked to animal nutrition. This sad event, in turn, inspired the family to set up not only the pet food company but a foundation as well for pet cancer research. This is a powerful testimony to ensure every pet owner about the high-quality of each pet food product they purchase for their beloved pet children. Dogs prone to food sensitivities and allergies are specifically catered by the Basics dog food product. Just like their other dog food products, the Basics do not contain any animal by-products, artificial ingredients, corn, soy, and wheat. If your pet happens to have nutrition restrictions and limitations, rest assured that the Basics have your pet’s back. Specially formulated, the Natural Veterinary Diet cannot be purchased without a vet’s prescription. Pets suffering from serious health problems and food sensitivities that need a customized diet are especially helped by this product line. The product includes dog food specifications such as formulas for Urinary Care and Weight Management, Hydrolyzed Dry Food for Food Intolerance, and Gastrointestinal Support. 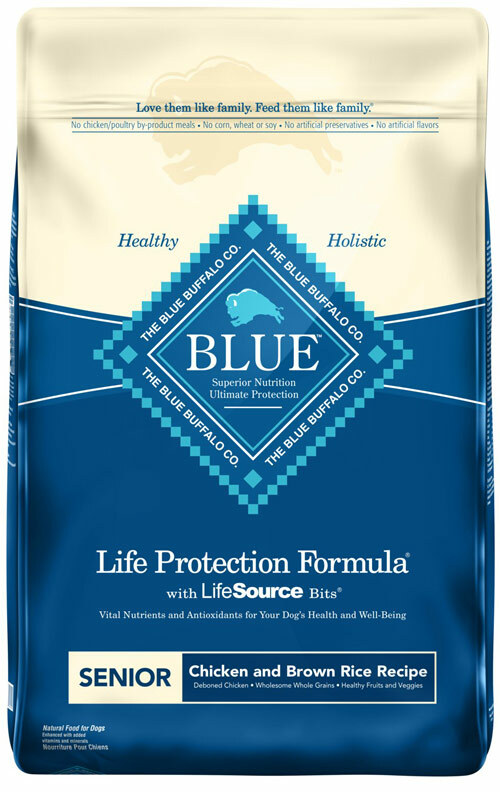 Of all the products by Blue Buffalo, the Life Protection is their standard line and top-selling dog food as well. There are varied packages included in the Life Protection line that is aimed for different age and size of the dog. Large dog breeds that need extra nutrition will find that in the Life Protection’s added doses of Chondroitin and glucosamine. This particular line is one of the best dog food choices for there are no animal by-products, soy, corn, artificial ingredients, and wheat included. Meeting and even exceeding the dietary needs of your pets is provided all the time with the farm-to-table recipes that are processed only with fresh and natural ingredients. Earth Essentials is the latest addition to the Blue products that feature easily digested whole grains that were specifically added because of the numerous nutritional benefits it provides. A bit similar to the Basics and Life Protection, Freedom’s main difference is the zero-grain content. 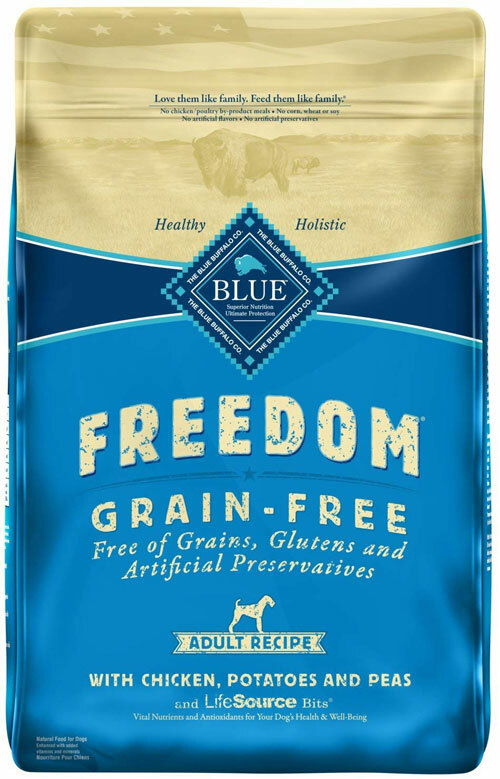 Meant for dogs that are ultra sensitive and allergic to a lot of food varieties, Freedom also caters to pet owners that prefer not to include any grain product to the dog food. The Wilderness lives up to its name by incorporating to the line the dietary needs of the wild cousin of dogs: the wolf. 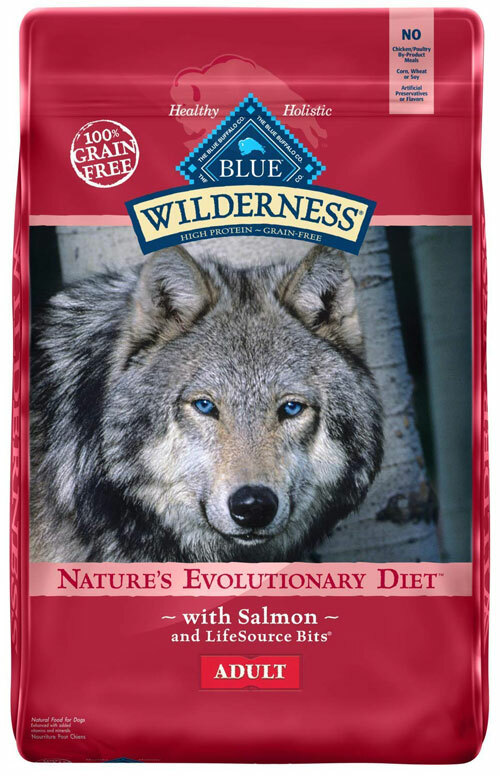 Going back to the diet of wolves during the evolutionary times to present day is believed by Blue to match and meet the nutritional needs of dogs. The line does not contain any grain product but packs on the meat which makes it a high-protein diet for your beloved pet. Huskies and pit bulls will likely benefit with this line product unless your dog doesn’t like the taste of fish. The zero-grain content makes this the best option for dogs allergic to grains. Long-haired dogs stood to gain benefits with the rich omega-3 content. Inflammation outbreaks such as itchy and sore skin are also helped with the high omega-3 content. The small amounts of glucosamine will provide relief or prevent joint problems to happen to dog breeds that are susceptible to it. This line product is ideal for growing up puppies that need the best nutrition for them to become healthy, strong, and active. Long-haired puppies are likely to benefit from the rich omega-3 content supplied by flax seed and fish oil. It is not grain-free which will not benefit your dog if he is allergic to grains. Dogs that are susceptible to joint issues will not gain any benefit with this line either because of the absence of glucosamine content. Medium-sized to large dogs will likely benefit with this particular line especially when they are active and prone to food allergies and sensitivities. The only animal protein ingredient used in this line is a turkey. However, dogs allergic to grains or fish should not be given the product for its fish oil and grain content. The outstanding difference of the Limited line from all other line products of Blue is because of its vegetables and fruits content. Specifically formulated for toy and small-breed adult dogs, this is one of the most popular Blue line products. While active small breeds such as Chihuahuas and Terriers will gain benefits from this particular line product, the high carbs content might not be a great choice for inactive or overweight dogs. Dogs that are susceptible to grain allergies should not be given this particular line because of the high grain content of barley and brown rice. Heart disease and cancer issues are helped with the rich antioxidant content. The low content of glucosamine can provide timely help for toy and small breeds that are prone to joint issues. Our beloved pets that are in the last stages of their lives deserve the best which is provided by this food line. Older and inactive dogs will still be nutritionally healthy even with the barest fat and protein content. This line can help if your older dog happens to have digestive issues such as constipation or diarrhea. Only high-quality turkey and chicken are used for this high-protein line that is recommended for dogs that don’t like the taste of fish and has no meat allergies. Dogs allergic to grains will also benefit with this line as the carbs content comes from peas and potatoes only. However, the high-carb content will not work favorably for overweight dogs. Dogs susceptible to joint issues will receive relief or altogether prevented from experiencing it with the 400mg/kg glucosamine content. What Do Real People Say about Blue Buffalo? As always, there are both positive and negative aspects of any product. Even though the market has evolved greatly even from just a couple of years ago, so have the needs and demands of the consumers. At the top of the market, where Blue Buffalo definitely is, you will only find high-quality products and good, nutritious food, but you should always ask for more. While those pet owners who have more dogs or a tighter budget might opt for a lower priced brand, those who have chosen this level of quality should demand the best. This means the best quality animal protein, a formula rich with vitamins and minerals, as well as a food that is not likely to induce allergies and other problems with your dog. Thankfully, pet owners who have tried the brand have been willing to share with us their experiences. This way we can make an informed decision both as pet owners and consumers. This research will help us not only to provide the best dog food for our furry friends but will drive the market forward as well, giving us progressively better options in the future. It is apparent that Blue Buffalo has gone with the mantra that quality is better than quantity, and they were correct. Because their products are tightly packed with animal-based protein and other high-quality nutrients, we are able to make our four-legged friends full and satisfied with less food. High protein content means that your dogs will eat less, removing the possibility of unwanted ingredients clogging your dog’s system while not giving them enough nutrients. This way, your canine companion will stay well fed and full of energy while not risking obesity or any strain on its kidneys. 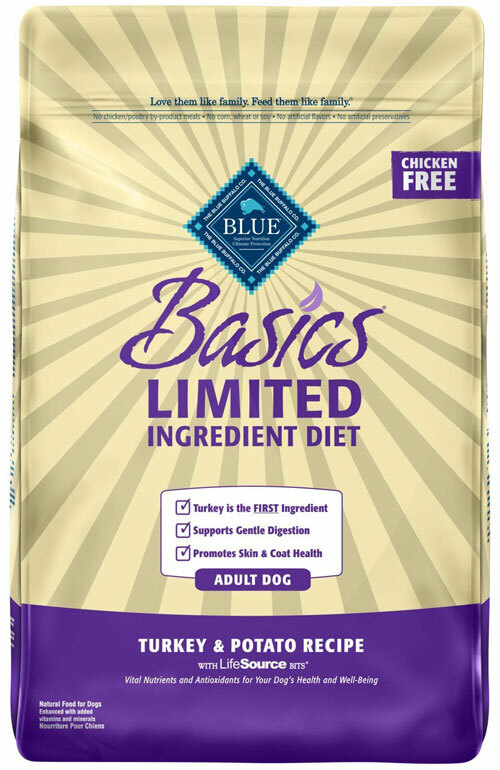 Additionally, Blue Buffalo offers a wide range of products that have differing amounts of vitamins and minerals, as well as omega 3 and omega six fatty acids, meaning that you will always be able to find a product that is adequate for your dog's needs. While it would sound like nitpicking only five years ago, we now expect high-end dog food not to contain any wheat, corn, or soy. In some Blue Buffalo products, these ingredients can still be found, even if only in trace amounts. Additionally, ingredients like bone meal are not something that is good for adult and senior dogs because of the high calcium content. Finally, we have found that several products from the Blue Buffalo selection do contain by-products in significant amounts, which should be avoided. It is highly advised always to inspect the ingredients list when buying a product. As these problems are found only in a few products, it is easy for consumers to avoid them and still buy Blue Buffalo dog food that has the same protein source while not having any grain or by-products. There are several points that pet owners should remember when buying Blue Buffalo dog food. Primarily, they have obviously changed their formula at some point, improving it significantly. Especially when buying dry dog food that can be stored for a long time, make sure that you are purchasing the new formula that is objectively better than the last. Second of all, inspect the ingredients list to see if there is an additional protein source from by-products that is different from the main protein source. In case your dog has allergies or similar issues, this can upset their stomach. In this case, you can still choose Blue Buffalo, but you will need to find the product with an altered formula. 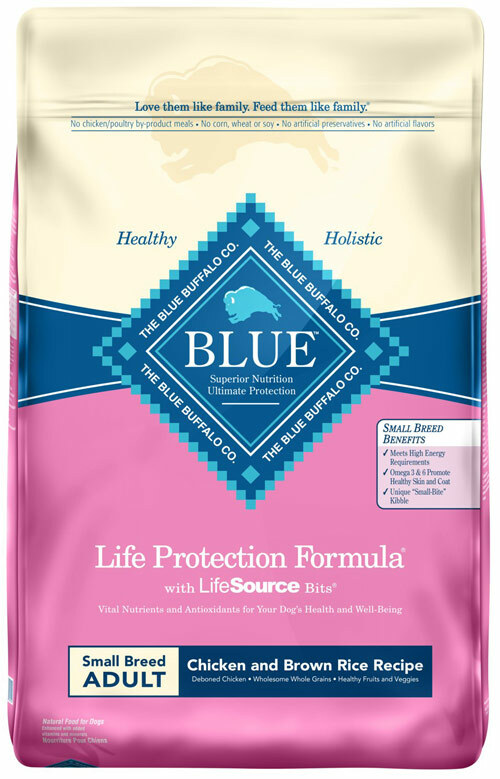 There is a good reason to say that one of the United States’ best holistic dog brands in the market today is Blue Buffalo. The natural ingredients that are all sourced from the country along with the different flavors readily make Blue Buffalo one of the leading brands for top-ranked dog food. The furry four-legged pets are, hands down, the most popular member of any family. They are loyal, they are funny, and they make us happy. We don’t want anything bad to happen to them. Providing them with high-quality food that is meant to keep them around for a long time is a small price to pay. Just remember to choose the Blue Buffalo product line that matches perfectly with the needs of your pet child or children. If you need to switch over to Blue Buffalo, make sure to do so gradually to make the transition a seamless and stress-free occasion. 5.7 What Do Real People Say about Blue Buffalo? 5.8 What do Real People Say about Blue Buffalo? 5.11 What to Look After?